The Crystal Bay and Incline Village real estate market makes for an interesting situation. Once you get north of Glenbrook, the Nevada side of Lake Tahoe is almost entirely state park or government-owned land until you come to Incline. So if you want to live in the basin and want to live in the Silver State, your only choices are the Douglas County communities to the south or the Washoe County communities to the north. And the properties in the Crystal Bay and Incline Village real estate area are in high demand, with correspondingly high price tags. In all fairness, the steep cost of homes here is not without reason. It's a beautiful area with great beaches, nice golf courses and forested mountainside neighborhoods. The Incline Village General Improvement District works hard to provide community amenities, and there is even a local ski area. Much of the inventory in the Incline Village and Crystal Bay real estate market is condos and townhomes, but unlike the market at Olympic Valley to the west, there is a fair mix of single-family houses scattered throughout the list. Nice shopping options, a local college and the ease of popping over the summit to Reno, just a half-hour away, round out the reasons why this is considered to be such a desirable home market. The public schools in the Crystal Bay and Incline Village real estate boundaries fall under the Washoe County School District and include an elementary school, a middle school and a high school. 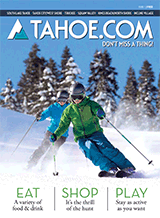 The Lake Tahoe School is a highly regarded private school for grades pre-K through 8th, located in Incline Village. Incline is also home to the Sierra Nevada College, known for teacher education and a strong collegiate presence in competitive snow sports.